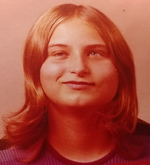 Judith Rae “Judy” Harris,60, a longtime Grays Harbor resident, born in Aberdeen, September 3, 1958, the daughter of Frank and Betty Lou (Van Leeuwen) Harris, died at her home in Westport, Tuesday, January 15, 2019. She graduated from Hoquiam High School in 1977 and had lived on the Harbor most of her life. Judy was married to Steven M. Jones, Sr. in 1976, which ended in divorce. She would later marry Earl Hubbard, Jr. in South Bend, WA in 1993 and they divorced in 1995. For a while Judy had lived in Oregon, California and various parts of Washington. She enjoyed rock hounding at Damon Point at Ocean Shores and Half Moon Bay at Westport. She also enjoyed being on the computer and cleaning up debris off the side of the road. Judy is survived by a son: Steven Michael Jones, Jr., Skagit Valley, WA; a daughter: Stephanie Ann Ford, Hoquiam; a brother: Randal Harris, Port Angeles; and two sisters: Patty Kerner, Hoquiam and Joan Jester, Aberdeen; there are also 6 grandchildren and a great grandchild. Cremation arrangements are entrusted to Twibell’s Fern Hill Funeral Home, Aberdeen. To send flowers to the family of Judith Rae "Judy" Harris (Harris), please visit our Heartfelt Sympathies Store.